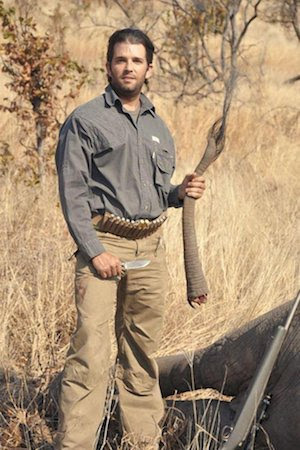 This is Donald Trump’s son with the tail of an elephant he killed. Trump just gave him a sick gift, changing the law to let bloodthirsty American hunters murder elephants and bring their heads home as trophies. Let’s build a massive global campaign to shame the US into dropping this disgusting plan -- Avaaz will work with African countries to deliver our call at a major wildlife protection meeting in days.